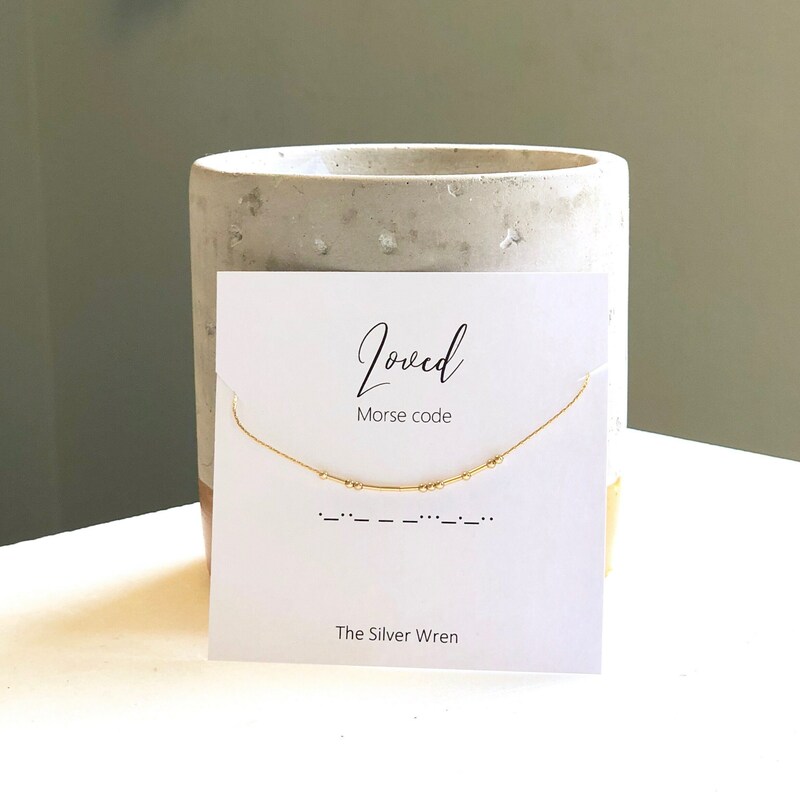 One simple word that is so powerful, this necklace is the perfect reminder of your love. 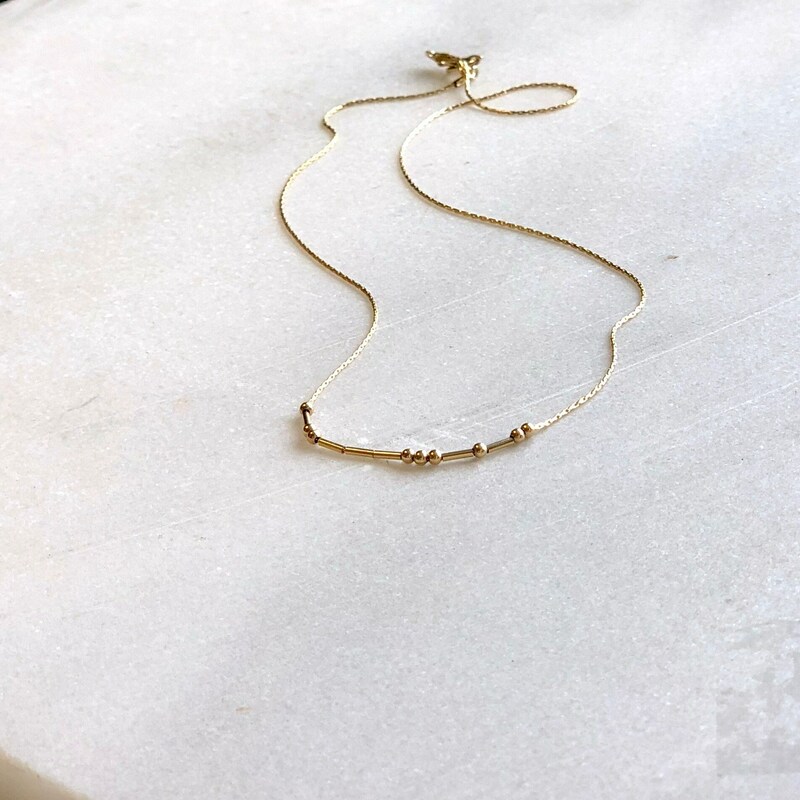 -Tiny beads and dashed floating to create the word loved in morse code. -Gift packaged with the special insert in photos. 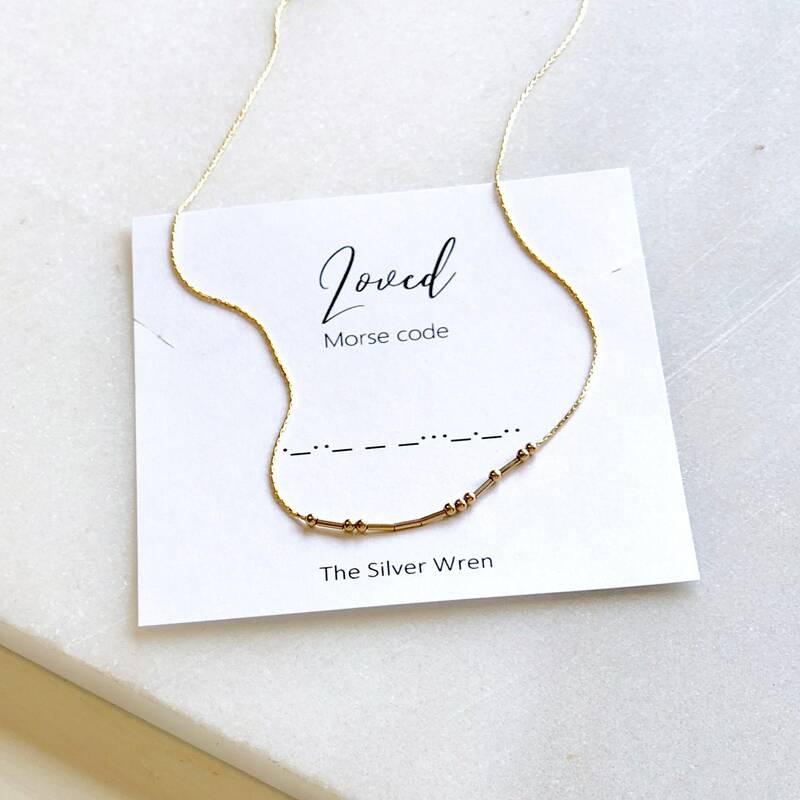 I bought 4 Morse code necklaces and they are perfect gifts! Will like buy these again in the future. So beautifully done! So happy with the finalized product. Also packaged perfectly! Thank you for the best gift.